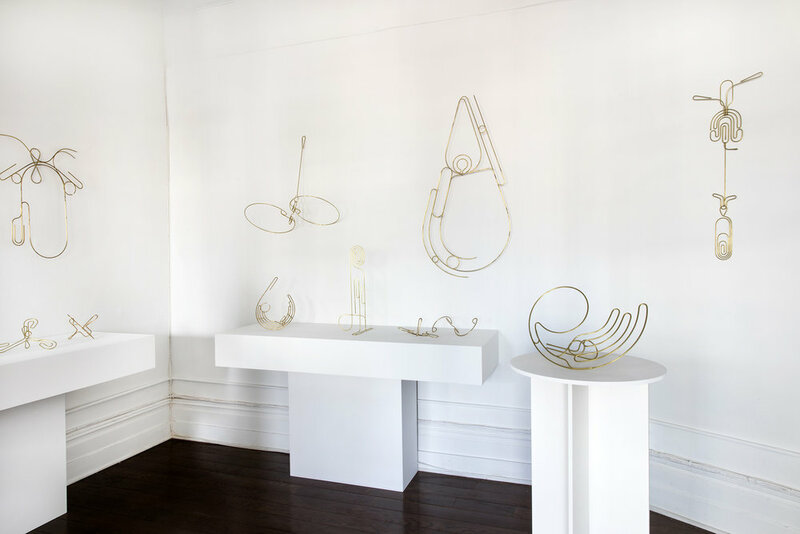 kinder MODERN is thrilled to feature a series of playful, kinetic, brass objects designed and hand-crafted by American Sculptor Rodger Stevens on display in the gallery’s Project Space. Until now, the movement in Rodger's work has been largely implied rather than actual. 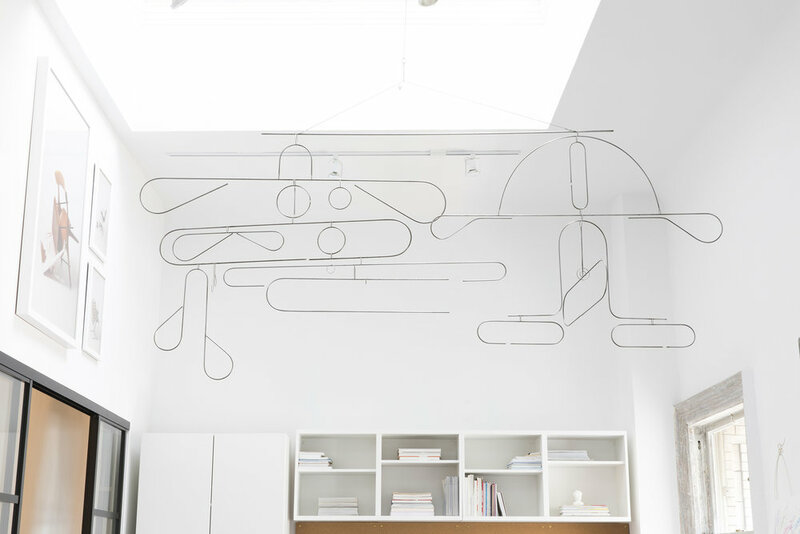 Fluid lines, energetic shapes, and suspended or balanced elements, suggested action without actually taking any. 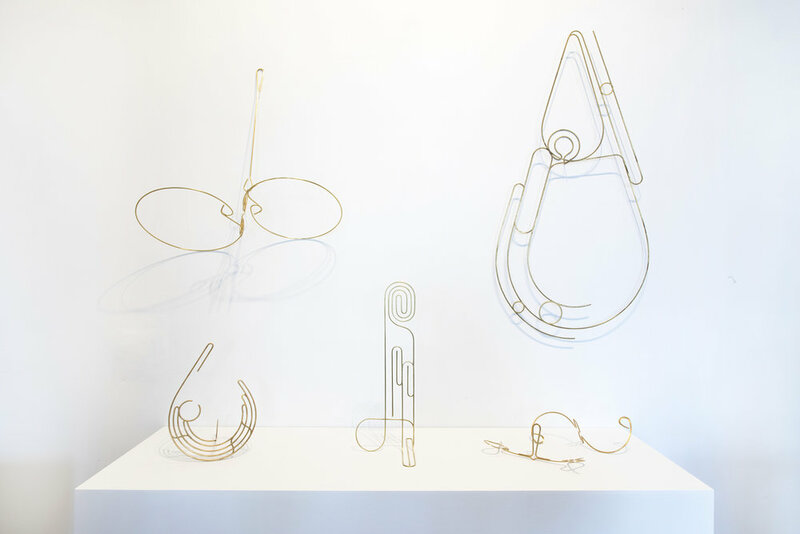 These pieces made for kinder Modern manifest energy in an entirely different way: they are simple engines, whose starters are simple gestures. "one morning I set a partially-hammered length of brass, a nearly-finished link in an under-construction necklace, on top of an anvil. As I withdrew my hand, I accidentally caught one side of the slightly bowed shape and initiated a minute-long spin. The elongated S whirled in place, with it's subtly up-raised arms in orbit around an unperturbed center. After coming to rest it now balanced on the point of what from the side looked like a wide v. I gave it a gentle tap.. And now it rocked. Spinning and rocking, two simple actions that are no news to anyone, were suddenly news to me." A new line of thought and a new line of work was born, and what immediately followed was something kinetic. Born in Brooklyn, New York, Rodger Stevens studied at the Parsons School of Design (NYC), the School of Visual Arts (NYC) and Pace University (NYC). He is an internationally exhibited artist with work in numerous private and institutional collections. His work is motivated by a multitude of interests including literature, language, mathematics, human physiology and personal experience.